Fletcher Christian was born on this day, 25 September, in 1764. He is most known for his role in the Mutiny on the Bounty. Christian led the mutiny, which saw the Captain William Bligh and several other crew members set adrift. The mutineers made their way to Tahiti, where some settled, and then to Pitcairn Island. 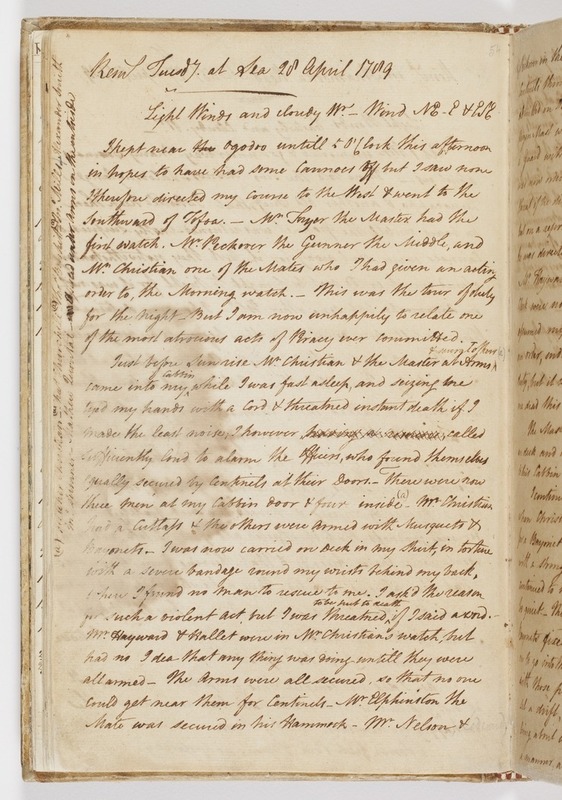 The page above is from Bligh’s logbook for the voyage, and describes the start of the mutiny. See the complete logbook and read a transcript of the account of the mutiny here. 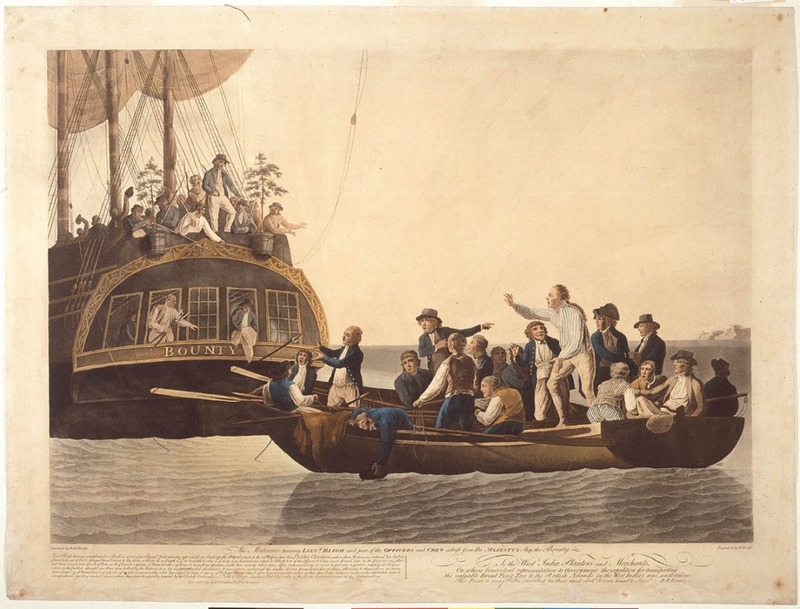 Find out more about the Mutiny on the Bounty in our Discover Collections feature.